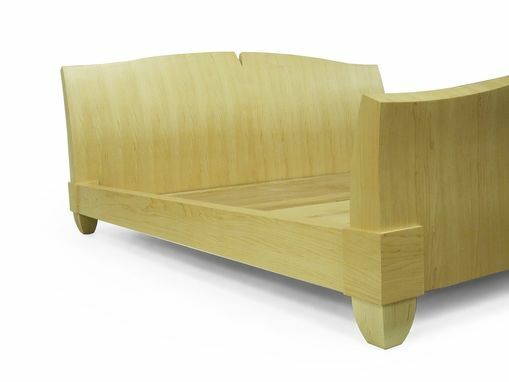 Natural or stained maple or mahogany headboard, footboard and feet. 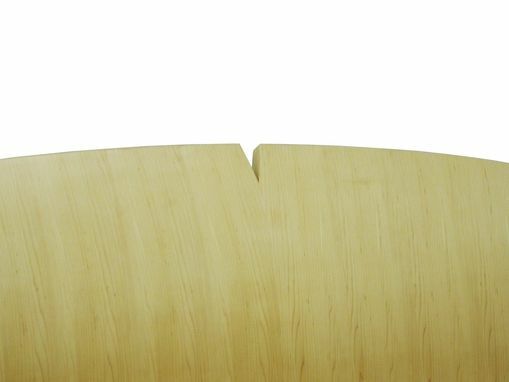 Open grain finish on all wood surfaces. Bed with footboard shown in natural maple. 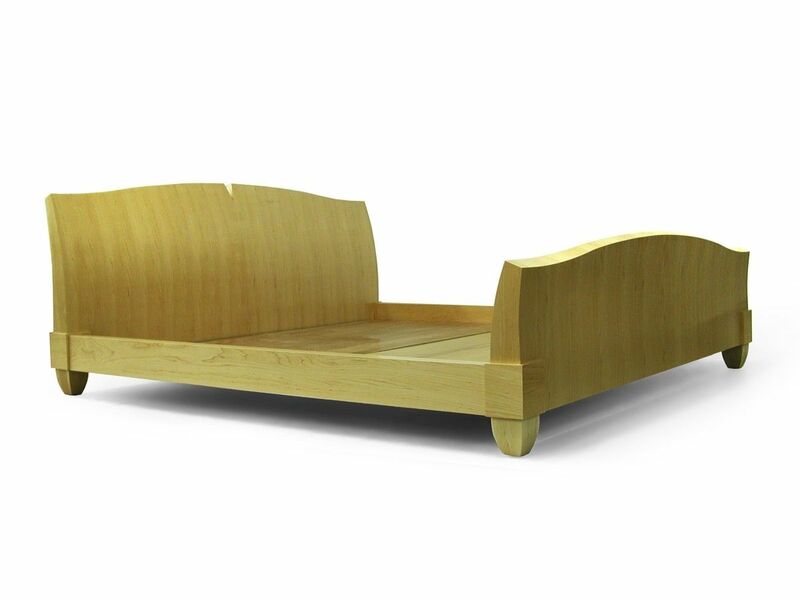 Bed without footboard shown in espresso curly maple. Bottom image shown in natural pommele. Headboard is 37"H; can be made to fit any standard size mattress. 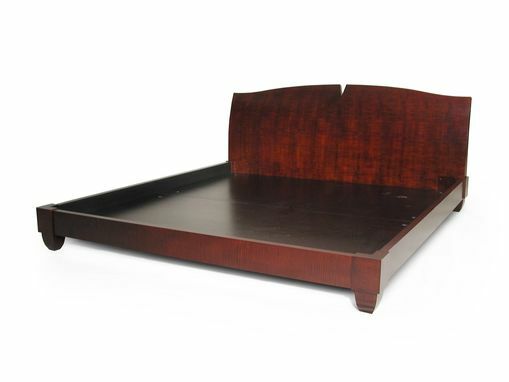 This is a platform bed designed to be used without a box spring.